British low-cost carrier Monarch Airlines filed for insolvency on October 2, marking the biggest ever collapse in the UK’s aviation industry. The airline’s bankruptcy makes it the third European operator to fail in the last five months. Monarch’s bankruptcy caused 300,000 flight cancellations and left around 110,000 customers stranded. The situation is now being managed by the UK Government. Moreover, the cease of trading, which was forced by severe losses, has also affected around 2,100 staff members, whose employment status is now uncertain. Monarch’s insolvency is the latest casualty in the fight to conquer European skies, and follows both Air Berlin and Alitalia’s collapse into administration. Irish carrier Ryanair has also faced difficulties this autumn, with confusion over pilots’ holidays causing more than 2,000 flight cancellations and resulting in high costs for the company. Now, with Monarch’s collapse, the price war in the short-haul European market claims a new victim. Speaking to the BBC, British Transport Minister Chris Grayling said the airline’s workers could be resettled across the industry. He stated the he had “already spoken to other airlines who think they are a first-rate team of people working for Monarch and are looking to try and hire some of them”. 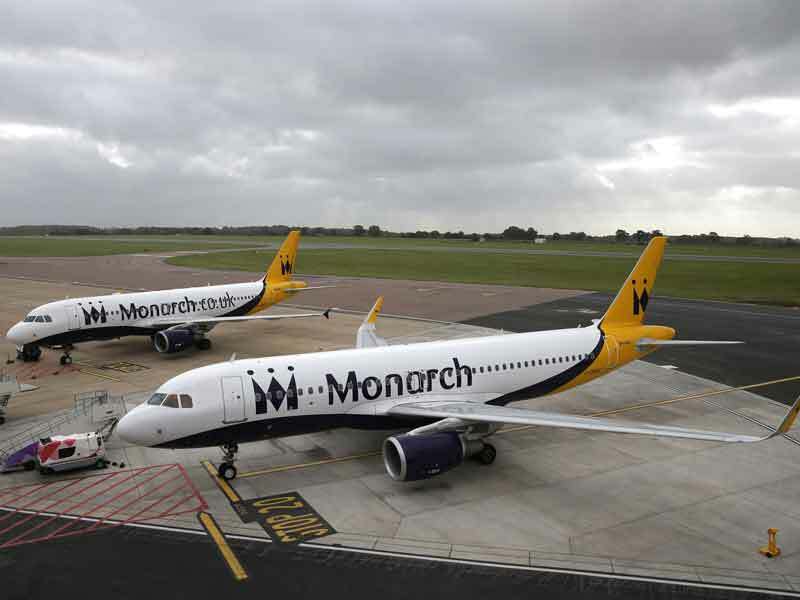 Monarch, the UK’s fifth-largest airline, had been a highly profitable business when the Swiss-Italian Mantegazza family owned it, the Financial Times reported. The family sold the airline to Greybull Capital in 2014 for £75m ($100m), but in recent years, as the sector has moved away from charter flying towards budget airlines, competition has increased dramatically – particularly in flights to Spain, which was Monarch’s core market. Blair Nimmo, the KMPG partner of Monarch’s administration, said the sector’s overcapacity has caused the company to make losses. In 2016, Monarch reported a £291m ($387m) loss, according to the BBC. In addition to a fierce competition, Monarch has seen its costs increase, partially due to the fall in the pound after last year’s Brexit vote. Chancellor of the Exchequer Philip Hammond told BBC Radio that the UK Government was aware of Monarch’s risk, since it had opted for an unprofitable business model. “The industry will restructure, that capacity will be absorbed and the competitive market will continue to operate,” he said.